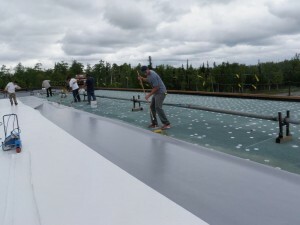 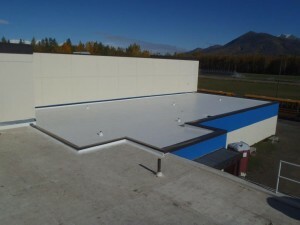 Matanuska Susitna Borough 4 School Roof Replacements – 115,100 Combined Sq Ft. 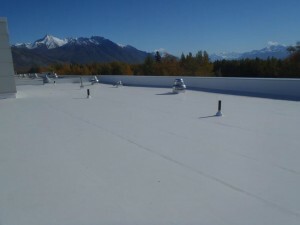 Removal of existing ballasted EPDM roof systems on the Palmer High School, Palmer Middle School, Cottonwood Creek Elementary School and Pioneer Peak Elementary School. 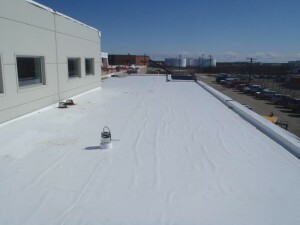 Installed fully adhered 80 mil Carlisle PVC membrane and EPS insulation. 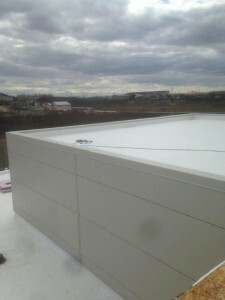 Installed new parapets, metal fascia, metal copings and new roof drains. 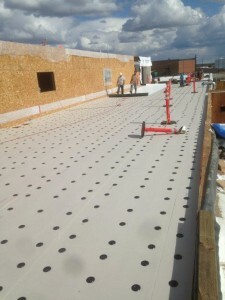 Bethel Youth Facility – 21,000 Sq Ft. 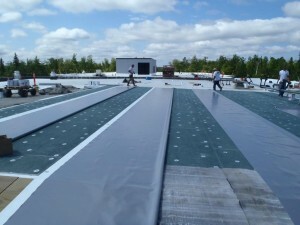 Installation of Sarnafil 60 Mil PVC roof system with Rhino Bond plates, EPS insulation and metal coping. 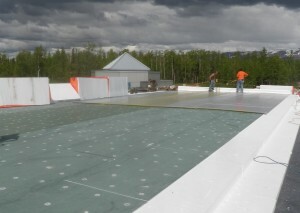 Wasilla Public Library – 25,000 Sq Ft.
New adhered Carlisle 80 mil PVC membrane and EPS insulation. 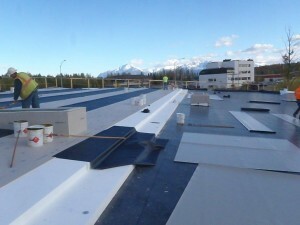 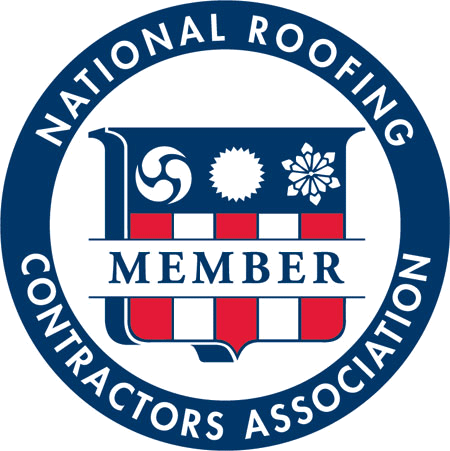 Wasilla Middle School/Wasilla High School Re-Roofs– 190,800 Combined Sq Ft. 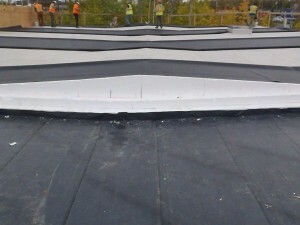 Removal of existing ballasted EPDM and BUR roof systems. 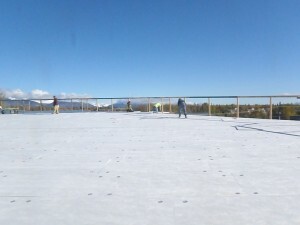 Installation of Carlisle adhered 80 mil PVC membrane and EPS insulation. 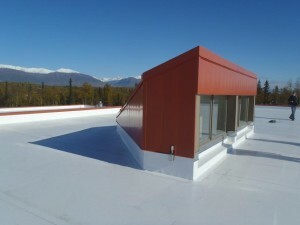 Work included substantial structural upgrades, electrical, mechanical and new roof drain installation.